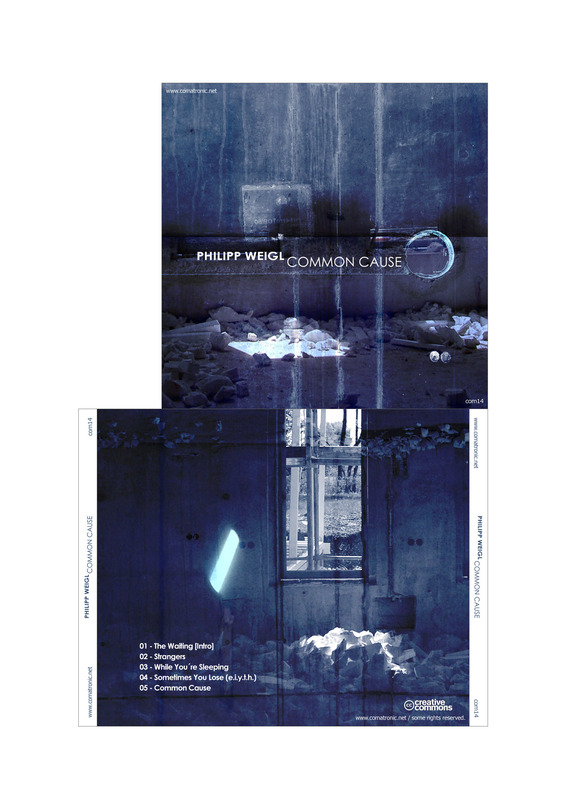 The introductory “The Waiting” features chirring pads, sparingly used dub elements and lets you get acquainted with your companion on this half-hour long journey through emotion, melancholia and passion: Philipp Weigl. “Strangers” comes up with a set of rich pads, a nicely delayed piano pattern and minimal, straight-line beats. 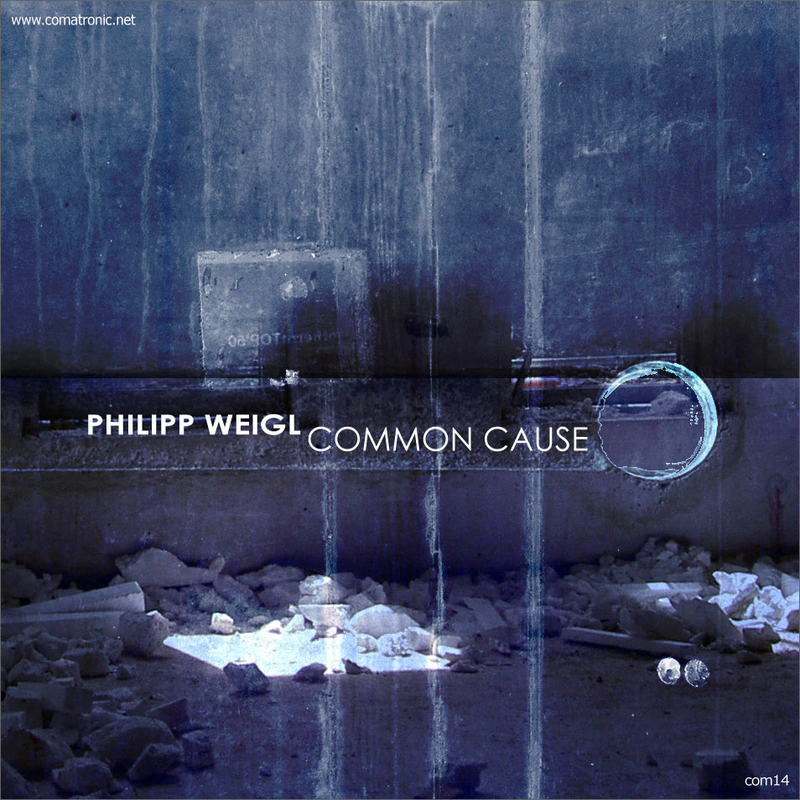 Like in “While You’re Sleeping”, Weigl’s voice is skillfully incorporated into mix and arrangement, thus creating a calm but elusive atmosphere. 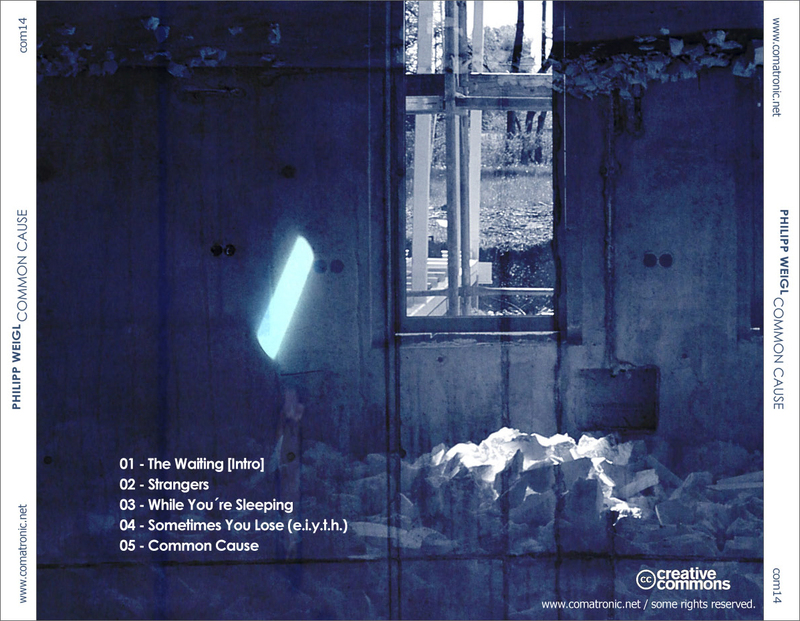 In “Sometimes You Lose” an alienesque voice is accompanied by predominant pads and a deep, wobbling bassline, while the slow-motion title track “Common Cause” makes use of clearer drawn vocal lines and completes a thoroughly intense and thought-provoking listening experience.